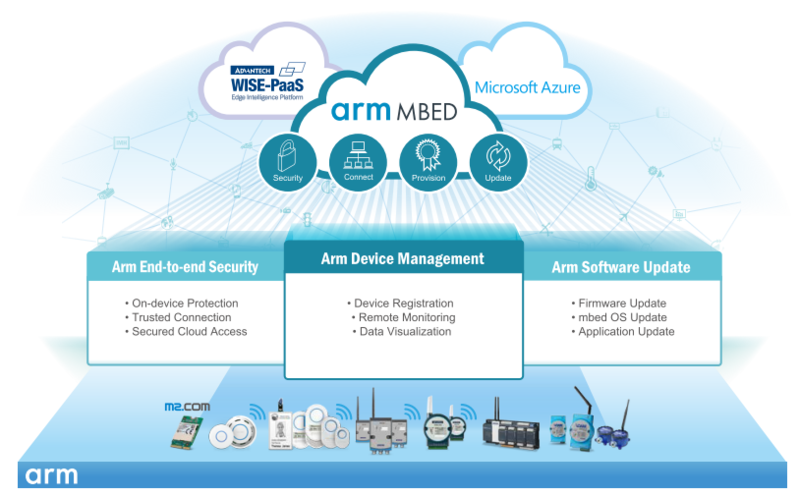 July 10, 2017, Taipei – Advantech, a leader in the global industrial computing market, today launched its Arm® Mbed™ Cloud services integration at the WISE-PaaS Marketplace; Mbed Cloud services provide secure identification, connection, and device management services for IoT deployment. With Mbed Cloud, users can achieve flexible coverage across a vast range of Arm IoT client devices, efficiently manage them, establish trusted security, easily update software on devices in the field, and equip IT and DevOps teams for unparalleled productivity. 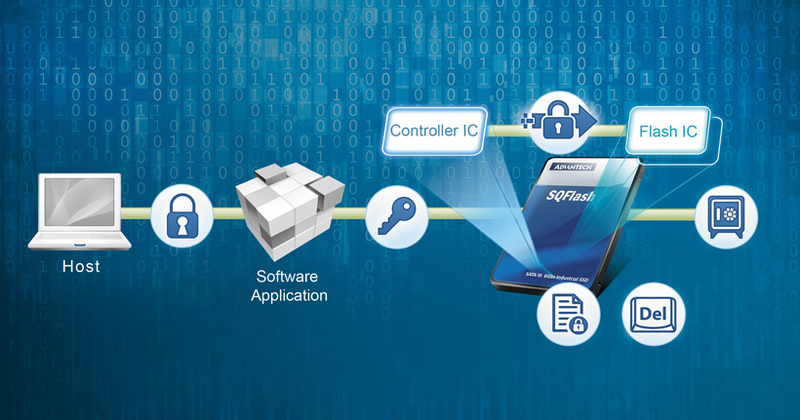 Advantech integrated Arm Cortex®-M based technology with silicon to develop sensor nodes with built-in Arm Mbed OS for enabling Mbed Cloud services with Advantech WISE-PaaS IoT Software Platform, ensuring easy integration with existing systems. Customers can subscribe to Mbed Cloud services via WISE-PaaS Marketplace with a few simple clicks to easily deploy, furthermore, WISE-PaaS Marketplace provides IoT Security, PaaS solutions, and pre-configured packages, all of which help construct an IoT ecosystem that fulfills customer needs. 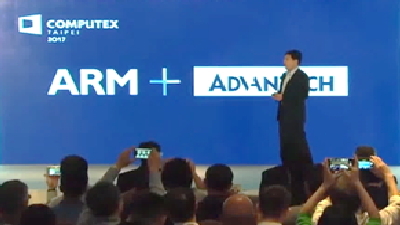 Customers can choose a standard suite for creating unique solutions, or combine standard and purpose-built packages to enable IoT edge intelligence and customize an IoT solution according to their specific requirements and usage conditions. By selecting certified IoT gateways – WISE-3610 (LoRa gateway) and WISE-3620 (Wi-Fi gateway) – customers can utilize the Mbed OS with WISE-1510 (LoRa) and WISE-1520 (Wi-Fi) nodes designed to fit different RF transmission requirements and environments: LoRa for long range sensor reporting, and Wi-Fi for short range communication with high throughput. IoT sensor nodes transmit data seamlessly to the Mbed Cloud. 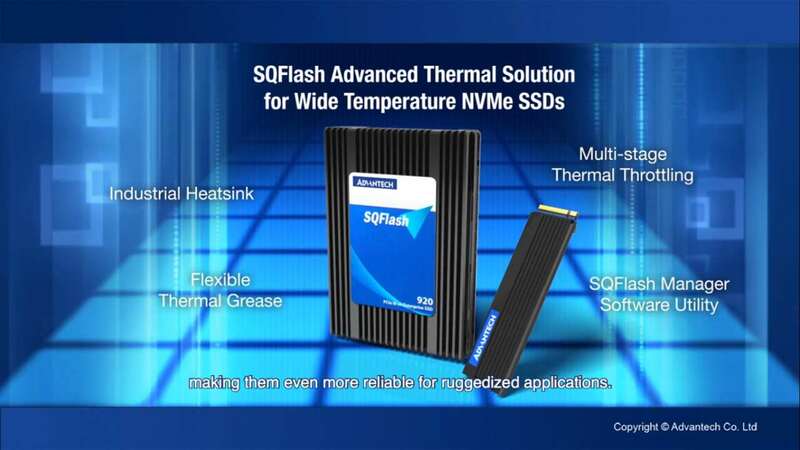 For more information about Arm Mbed Cloud services, please contact your local sales team, or visit the Advantech website at wise-paas.advantech.com/marketplace.